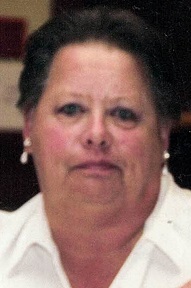 Ethel Gonzalez, 68, died Tuesday, January 22, 2019 at Hospice of Northwest Ohio. She was born July 20, 1950 in West Virginia. Ethel enjoyed WWE wrestling and spending time with her family. She was a gentle soul with a big heart, deeply loved and will be missed greatly. She will be in our hearts forever. Ethel is survived by her husband Arthur; children Carol Alsept (Robert Bermejo), Lois Alsept, Taylor Alsept III (Serena Bermejo) and April May Alsept (Thomas Fox); many grandchildren and great grandchildren; sisters Lou Spears, Alice Peyatt and Dolores Ipock; brothers Kenneth, Robert, Bill and Jim Smith. Ethel is preceded in death by her parents Kenneth and Lois (Jones) Smith; sister Nancy Lee Smith; granddaughter LaToya. Family and friends may visit the Freck Funeral Chapel, 1155 S. Wynn Rd in Oregon on Friday, January 25, 2019, from 11a.m.-1 p.m. where services will follow at 1p.m. Burial will be private.